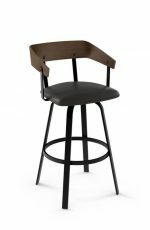 What are spectator stools? 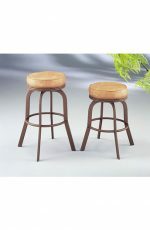 Spectator stools are tall, at least 34 inch or higher. They’re designed to give you a good view – out of a window, over a swimming pool, or across your home’s game room. 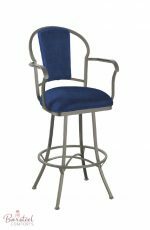 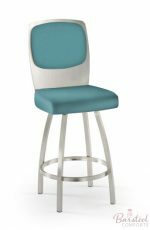 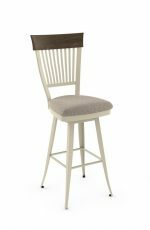 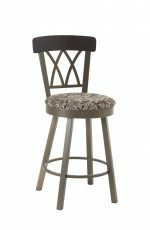 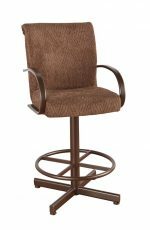 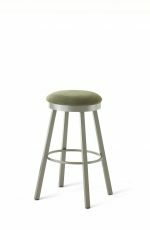 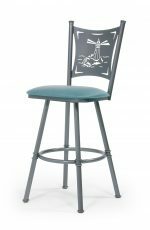 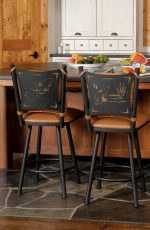 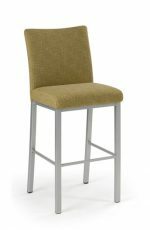 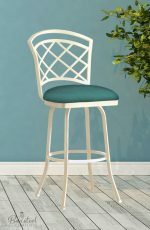 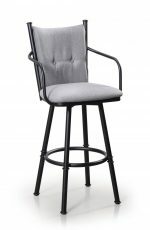 These 34 inch spectator height bar stools come with or without backs, with swivel or non-swivel seats, and in an array of fabric colors, patterns, and metal finishes. 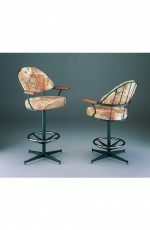 Spectator stools originally were designed for billiard halls to give spectators a better view of the game. 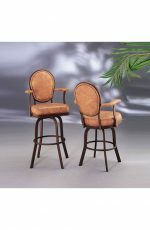 Their height provided an unobstructed view of the pool table and the angles of the shots. 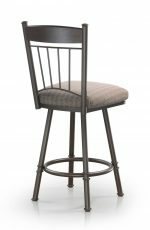 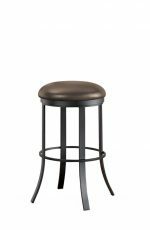 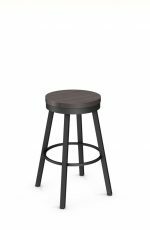 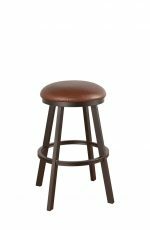 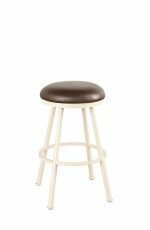 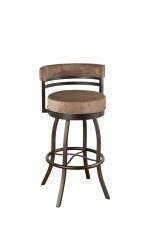 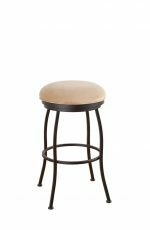 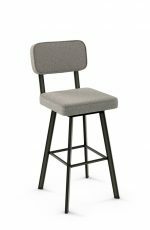 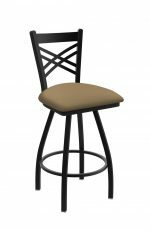 Where do 34 inch bar stools fit best? 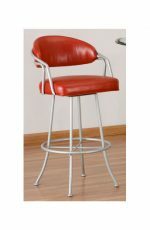 These are ideal for homes with counters or bars that are higher than the standard 42 inch. 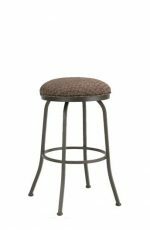 If you have counters that are 44-46 inches high, they’ll pair perfectly with a 34 inch spectator stool. 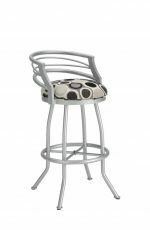 Many spectator stools are built for use indoors or outdoors. 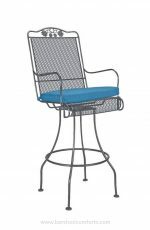 They go great with a tall pub table on the deck, balcony or pool deck. 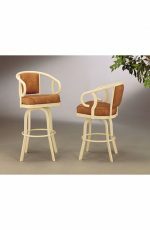 They’re also a natural fit for outdoor bars, which tend to have high counters. 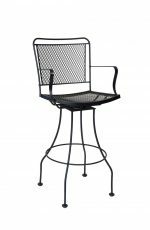 Outdoor stools are treated to withstand the elements such as rain, snow, and sun. 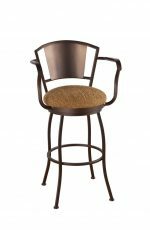 Many people prefer spectator stools for the sturdy build of their steel frames. 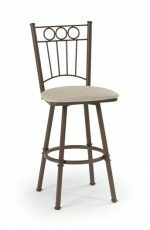 They’re strong and solid, and they don’t sway when you sit down. 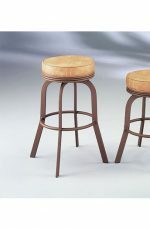 They’re heavier than most wood stools and are less likely to tip backward when children climb into them. 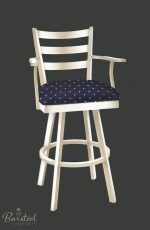 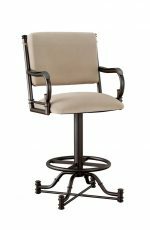 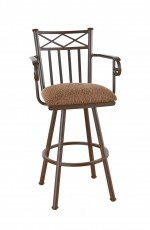 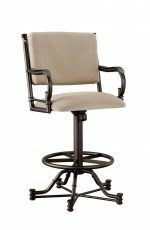 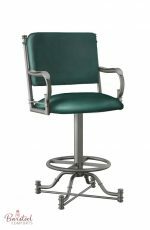 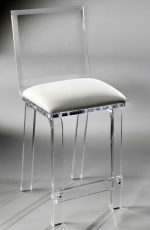 This confident stance is something that you need to have in a spectator stool! 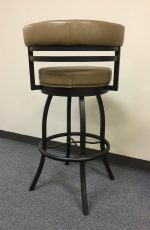 Anybody can sit comfortably in a spectator stool because the distance from the seat to the footrest is the same distance as on a counter or bar stool. 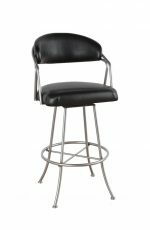 For shorter individuals, this makes it easy to sit in the stool even though the 34 inch seat is higher than usual. 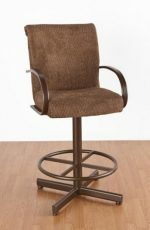 A steel footrest helps you climb in and out of the stool and supports your feet when you’re sitting. 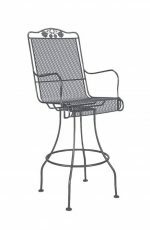 The steel footrest can support the full weight of a person as it’s much stronger than a footrest made of wooden slats that can crack or break. You can add armrests for even more support when getting in and out of the stool. 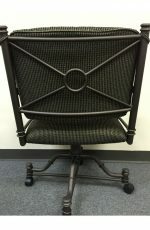 The arms give you extra support and something to grasp. 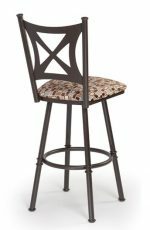 Shorter people find arms on spectator stools to be especially helpful. 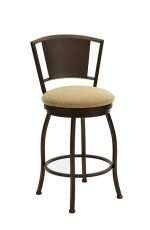 Swivel spectator stools tend to have a wider base than a counter or bar height stool, with legs that flare out for better balance and support. We don’t recommend 34 inch stools with seats that tilt, because tilting back at that height can cause some people to fall backward. 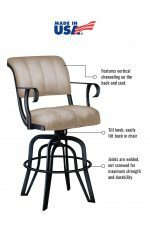 Of course, you can still order a tilt seat if you prefer. 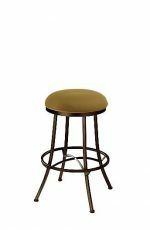 You might be concerned about the weight of the stools. 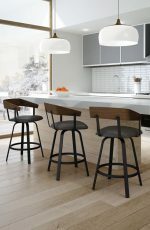 Are they too heavy to easily move around? 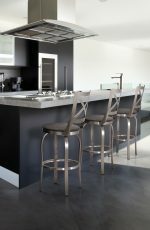 Not at all – you actually never have to lift the stools when you clean. 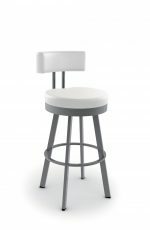 Simply glue on stick-em felts so the stool will slide easily on any floor. 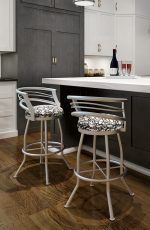 Most people prefer a distance of 10 to 12 inches between the seat of the stool and the bar or counter top. 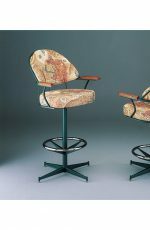 Larger people might require more distance, and shorter people less. 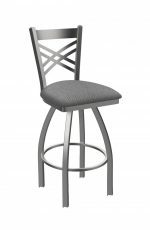 Depending on your comfort level, a 34 inch spectator height stool can be used at a 48 inch high bar. Please be sure to measure the height of your counter before choosing the seat height of your bar stool. 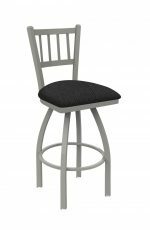 You can even visit your favorite local bar or restaurant to test the seating height. 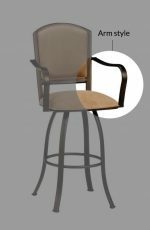 For more tips on how to choose the right seat height, click here for our guide. 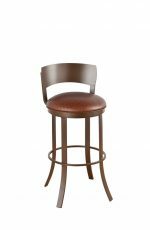 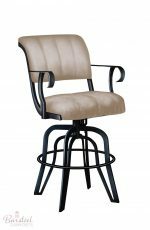 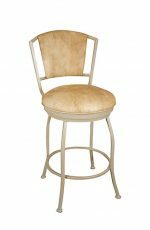 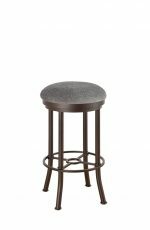 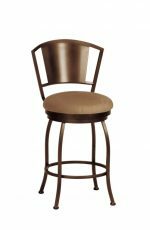 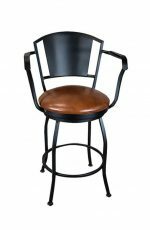 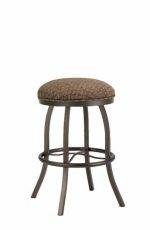 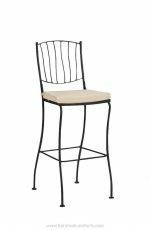 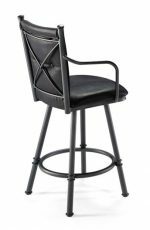 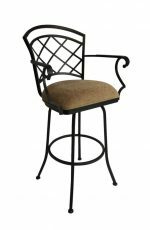 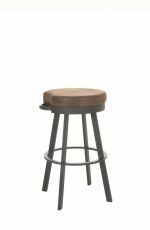 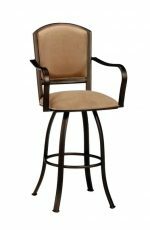 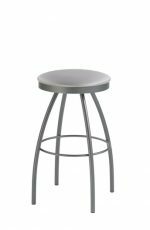 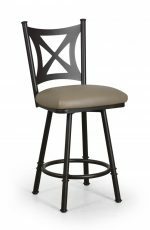 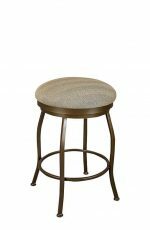 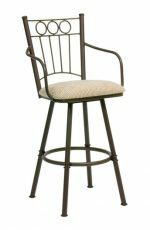 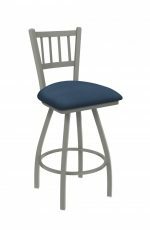 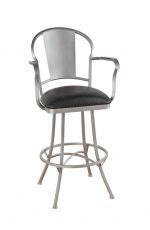 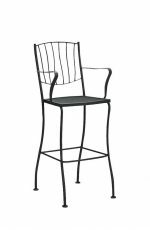 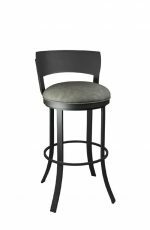 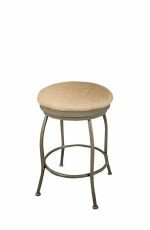 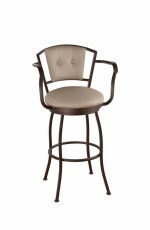 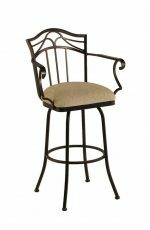 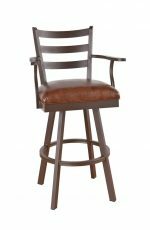 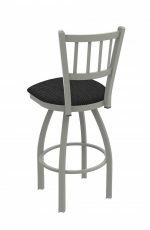 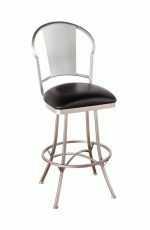 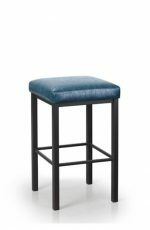 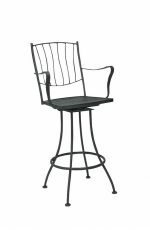 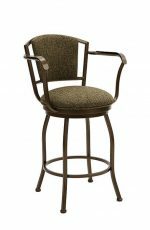 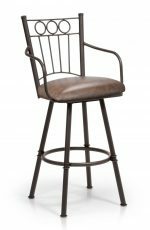 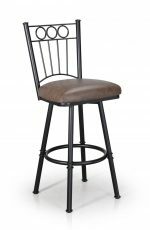 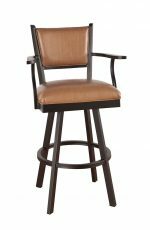 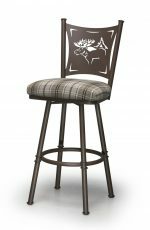 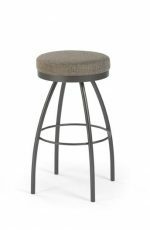 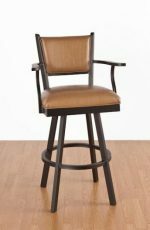 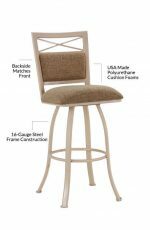 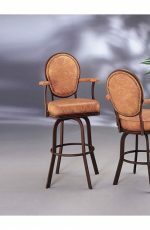 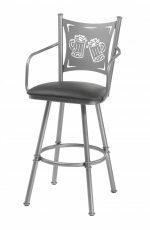 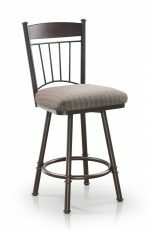 We carry the three best brands in the country for spectator height stools, as well as for counter or bar height. 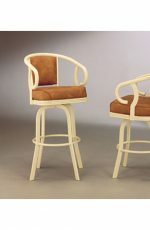 Check them out here: Amisco, Callee, Lisa Furniture and Trica. 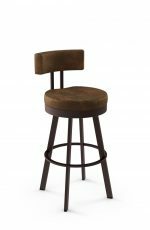 Looking for extra tall stools? 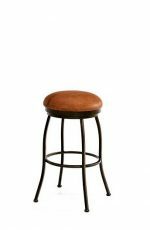 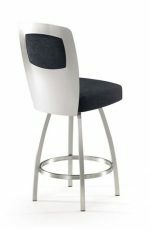 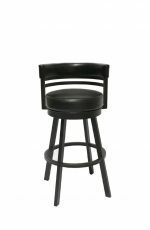 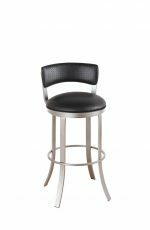 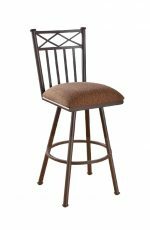 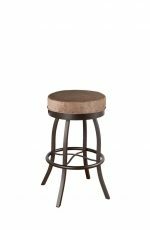 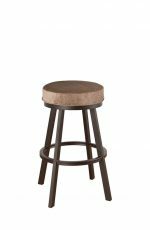 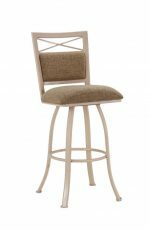 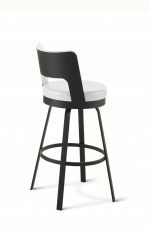 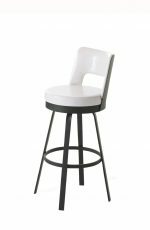 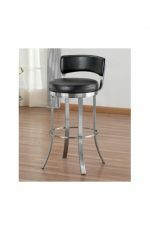 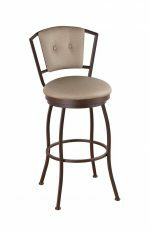 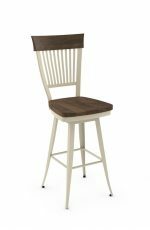 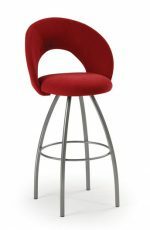 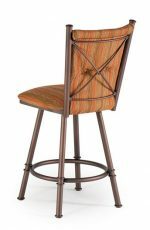 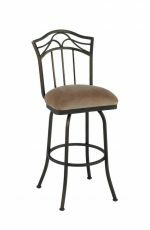 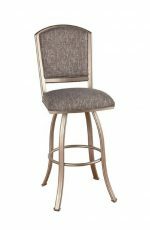 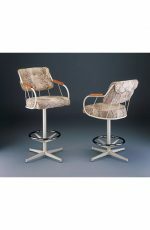 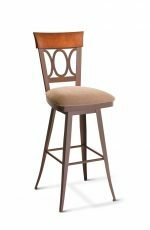 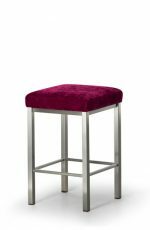 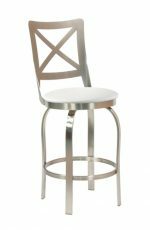 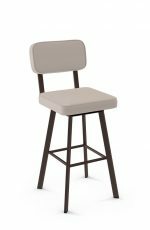 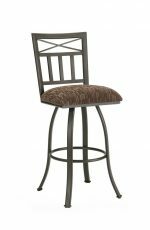 Visit our extra tall 36 inch bar stools category. 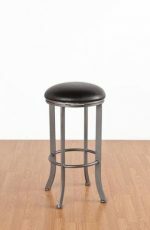 As always, if you have any questions about which stool is best for your room, please send us a note, call, or visit our Facebook page. 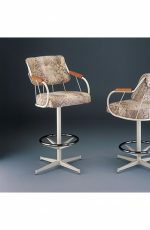 We’ll answer your questions as fast as we can. 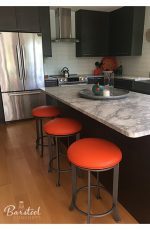 You can even send us a picture of your space and we’ll suggest free design ideas!